Science geek jokes aside *, learning has three aspects. The tuition, the practise, and the assessment. 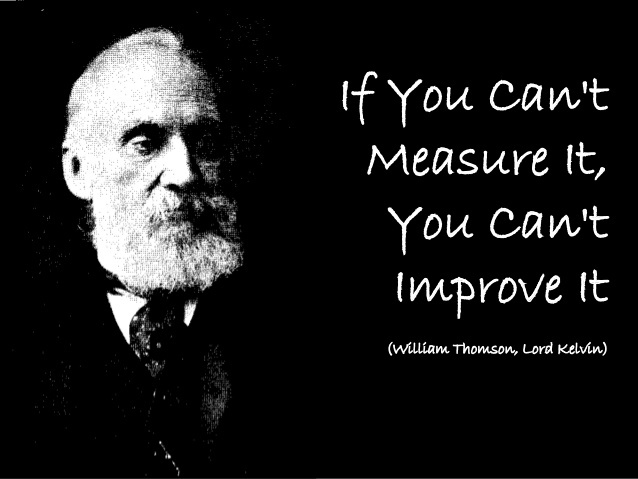 Measurement is not simply to verify competence, but it’s vital to correcting and enhancing understanding. Athletes seeking peak performance are being joined by all and sundry seeking motivation for exercise, in usage of metrics. Simple weight and repetitions, or distance and times logged, or biometrics such as heart rate (to keep inside a safe envelope of effort). Recently heartrate variability (HRV) sensing has been adopted to inform the decision of whether to train today. Or sleep in. To explain: fight & flight is from the sympathetic nervous system causing endocrine outputs such as adrenalin (epinephrine). It’s a survival response arising in the reptilian depths of our brain, around 6 times faster than rational thought process in the cortex. DON’T STEP ON THAT SNAKE ………………………………………………… no, wait up – it’s just a stick. Heightened arousal has already set off neuroransmitter and hormone cascades however. Chemical affect upon the heart ticker has a delay in effecting increase, which means that the beat-to-beat changes are subtle but steady. Rest & digest parasympathetic ying balances autonomic control of yang‘s panic, and is entirely effected by the vagus nerve. This electrical moderation of rate took time to formulate, but works near instantaneously. This means that beat-beat (R-R, or NN) intervals change markedly. Reporting on R-R through an HRV check is being suggested by coaches, to ensure the exercise activities are undertaken with the right mindset, mindfully. HRV training uses biofeedback to display this measure of autonomic balance (or Vagal tone) in realtime, and seeks to amplify your increases in rate with the in-breath – a natural observation known as Respiratory Sinus Arrhythmia. Gevirtz and Lehrer provide many journal articles and video explanations, and a few months ago ‘Treating the mind to improve the heart‘ appeared in Frontiers in Psychology journal announcing studies underway at a US Veteran’s Affairs medical centre. The simplicity of the measure means it’s already quantified, thus a useful assessment. Neurofeedback training adds a level of complexity, by selecting EEG leads on the scalp to quantify, and visually report focus in regions of the brain responsible for control – such as sensorimotor for chronic pain. The history of training by reward for helpful brainwaves goes back to Sherman’s meditating cats in ’65. This is the second aspect, a practise. Finally, the didactic beginning: tuition. Educational courses in mindfulness abound, this is a no-brainer! Practicalities. HRV is supported by many cheststraps which very accurately measure the electrical R-R interval, and upload this to smartphone apps capable of Bluetooth LE e.g. Polar H7 and Zephyr HxM. Rather than BLE, Garmin uses Ant+ wireless as does 60Beat – SweetBeat for iOS interfaces on both these protocols. iThlete have a simple sensor to detect blood pulsing in the finger, in a medical rather than sports context and this has been validated against the gold standard of ECG as a tool for developing countries. * Zero degrees Kelvin (0°K) is very cold – the theoretical absolute minimum. Yeah, dairy cows are sensitive creatures – and if stressed, deliver less milk. Hence science comes to the rescue!